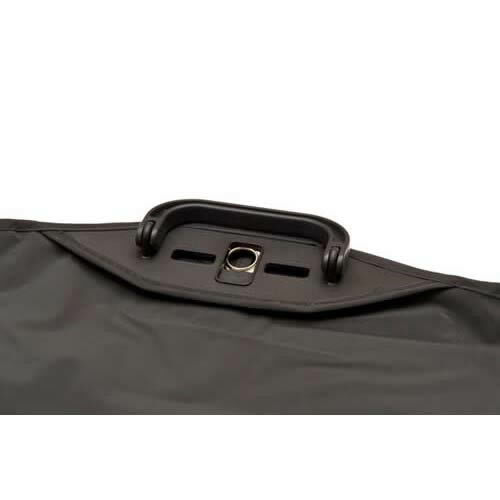 Deluxe Travel Suit Carrier in Black with extra strong carry handle. 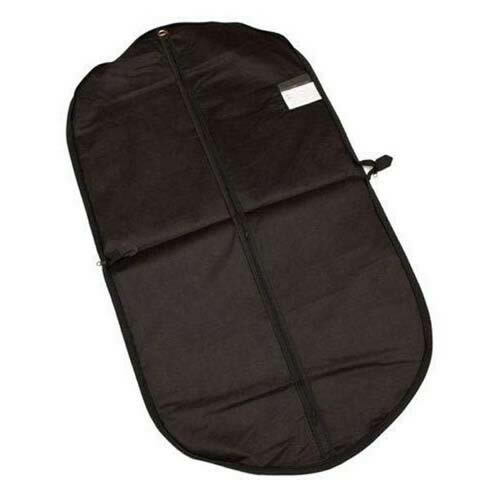 This garment cover is much larger than most and is ideal for weekend travel and for carrying on to the plane. 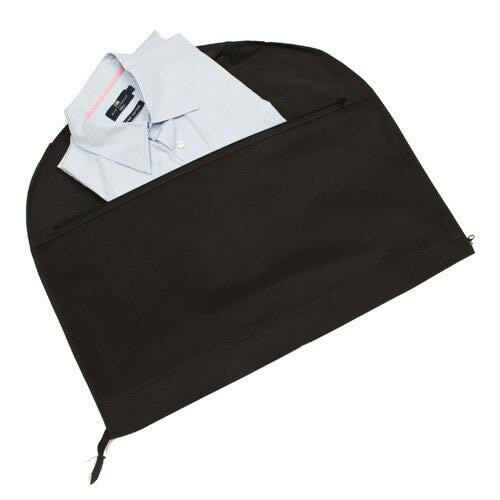 The garment cover is made with a strong polyethylene fabric on the outside which is water resistant and spongeable. 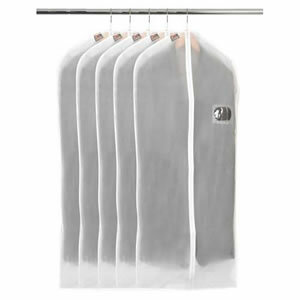 A breathable material is on used on the inside of the cover to let air circulate and maintain your garments. 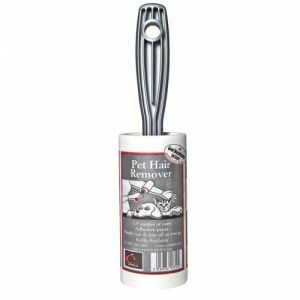 This design features an extra strong and robust reinforced handle. The design includes a large zipped pocket which can be used for shirts and/or accessories. 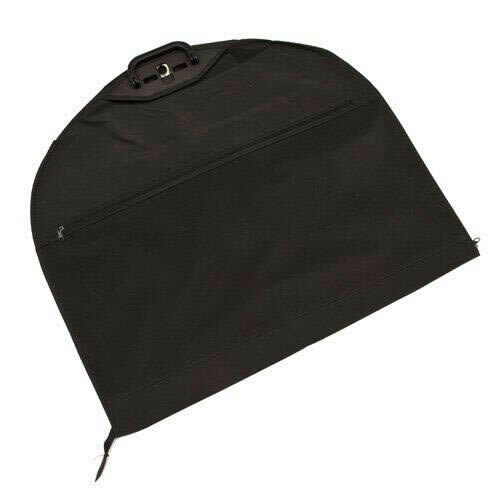 The suit carrier also has a metal grommet for hanging and a clear pocket to hold your business card / address details.